The Connecticut Cycling Advancement Program team raced hard on home turf this past weekend at the Nutmeg Classic Criterum in New Britain, CT. 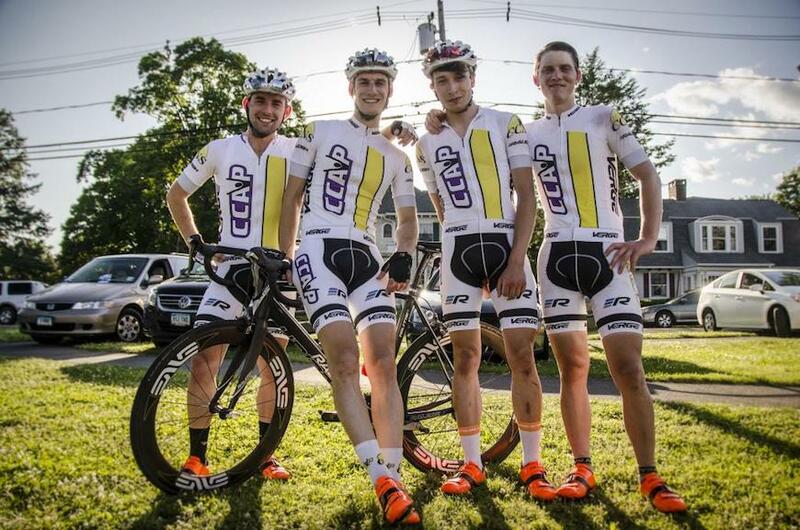 This 40 mile crit is a local favorite and always brings out New England’s best riders. Many attacks were launched in the first third of the race, all of which were covered by CCAP's Pro-am rider, John Harris. After finally setting the tone of the race after 12 laps, he muscled his Raleigh Militis 3 off the front of the group and initiated the day’s break with a witty and well-timed attack. Two laps later another small group bridged, making for 10 riders in the lead group. With 15 laps to go, Harris and three others attacked their breakaway companions. An elite group of four quickly formed and gained a large gap which proved to be the winning move. Harris did an amazing job covering attacks from the other three riders and kept things in control for the majority of the remaining laps. With two laps to go one rider put an end to Harris’ control and called the break’s bluff. The rider attacked and was let go, free to take an uncontested victory. Harris and his two remaining breakaway competitors came to the finish line in a three up sprint where Harris took a well fought third place on the day.